There is no fixed rule to determine the ethics of war -- that legalized murder of our fellow men for even mining is admitted with its wholesale destruction. Each new weapon, in its turn, when first introduced, was denounced as illegal and barbarous, yet each took its place according to its efficacy in human slaughter by the unanimous consent of nations. Gunpowder and firearms were held to be savage and anti Christian, yet the club, the sling, the battle axe, the bow and arrow, the balister or crossbow with the tormentum, javelin and spear, gave way to the matchlock musket, and that to the flintlock, and that to the percussion. The rifle is now fast superseding the musket, being of further range, more accurate in direction and breech loading. The battering ram and catapult gave way to the smooth bore cannon, chain, bar and spherical shot, which is now yielding, except in enormous calibre 15 inch and more, to rifle bores and elongated chilled shot, (yet, on account of inertia, rifle calibre should never exceed ten inches). Torpedoes come next in the catalogue of destructives, the modern ne plus ultra of warlike inventions. The world indeed is in throes of fire and marine monsters. While war is looming up between Russia and Turkey, other nations are striving in guns, iron clads and torpedo ships, for maritime supremacy. The powers of electricity in light giving and heat controlling to examine and blind an adversary by its glare at night, and fire -- torpedoes for his destruction at all times, and the capability of steel and iron with Professor Barff's superheated steam in endurance, offensive and defensive, will be called into action to resist the 100 ton guns of Italy and other formidable calibres, also torpedo boats like the Thornycroft of France, the Lightning of England, and the Porter Alarm of the United States. 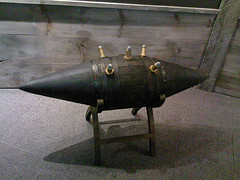 Iron clads are said to master the world, but torpedoes master the iron clads, and must so continue on account of the almost total incompressibility of water and the developed gasses of the fired gunpowder of the torpedo under the vessel's bottom passing through it, as the direction of least resistance. While other nations are pursuing the science of assault and defence theoretically and experimentally, the United States has had more practical experience with the torpedo, and better understands its capabilities, wisely discarding the iron and steel leviathans of the deep for models, as the Dreadnaught, Inflexible, Devastation, Alexandria, Iron Duke, Duillio, &c.
During the war with the Confederacy, there were 123 torpedoes planted in Charleston harbor and Stono river, which prevented the capture of that city and its conflagration. There were 101 torpedoes planted in Roanoke river, North Carolina, by which, of twelve vessels sent with troops and means to capture Fort Branch, but five returned. One was sunk by the fire from the fort, and the rest by torpedoes. Of the five iron clads sent with other vessels to take Mobile, Alabama (one was tin clad), three were destroyed by torpedoes. There were fifty eight vessels sunk by torpedoes in the war, and some of them of no small celebrity, as Admiral Farragut's flagship the Harvest Moon, the Thorn, the Commodore Jones, the Monitor Patapsco, Ram Osage, Monitor Milwaukee, Housatonic and others. (Cairo in Yazoo river). Peace societies we must acknowledge a failure in settling national differences by arbitration, since enlightened nations go to war for a mere political abstraction, and vast armies in Europe are kept ready for action, to be frustrated, however, by this torpedo system of mining, carried out according to views. "In the experiments with the torpedo lately in the Florida channel", says an Eastern paper, "the country has been furnished with a more complete exhibition of the destructive capacities of this submarine projectile, than is now known to military and naval science." Admiral Porter, in his recent report, called particular attention to the torpedo as a defensive and offensive weapon, and urged upon the navy a thorough study of its powers as a destructive agent in warfare. He therefore congratulates the service upon the success of the torpedo exercises, believing that they will command the attention of all the navies in the world. Enthusiasts claim that naval warfare has been substantially revolutionized by its invention; and the exercises of the squadron during the closing days of February, prove that "this newfangled concern" is not to be despised, as the navy often learned to its sorrow during the protracted blockade of the Southern coast at the time of the recent war. The Wabash, Congress, Ticonderga, Canandaigua, Ossipee, Colorado, Brooklyn, Wachusett, Kansas, Lancaster, Alaska, Franklin, Fortune and Shenandoah, participated in the practice. This recalls to mind the following narration, well known to some of our readers: During the war with the Seminole Indians in Florida, April, 1840, the Seventh United States infantry was stationed at posts in the interior of the peninsula, and the country had been divided into squares of twenty miles each, and the headquarters located at Fort King, the former agency, which was commanded by Colonel Whistler, and Captain G.J. Rains commanded at Fort Micanopy, just twenty five miles distant. Though there was, and had been since the beginning of hostilities, an Indian town within sound of drum at Fort King; yet it was so surrounded by swamp that it had not been discovered, and some twenty miles journey was required to reach it, and the Indians so located their depredations in Micanopy square, that Colonel Whistler made representation that there the enemy was to be found and not at Fort King, and General Taylor changed the headquarters accordingly. The colonel's command, consisting of several companies of infantry and dragoons, was transferred Fort Micanopy, and Captain Rains and his command, one company with diminished numbers, to Fort King. Here the Captain soon discovered he was in a hornet's nest, and so reported, but was unheeded. The Indians perceived at once the disparity in numbers from their spies, and that their opponents were few at that post, and they became bold accordingly. Captain Rains' men were so waylaid and killed that it became dangerous to walk even around the post, and finally two of his best men were waylaid and murdered in full view thereof. Desperate diseases often require desperate remedies, and as the preservation of the lives of his command required it, the following was resorted to by the Captain. The clothing of the last victims was made to cover a torpedo invented by him, and it was located at a small hammock and pond of water in a mile or two of the post where the Indian war parties had to get water. Some day or two elapsed, when early one night the loud booming sound of the torpedo was heard, betraying the approach of a hostile party. Quickly Commander Rains and some dragoons who happened to be at the post rode to the spot; yet all was still and but an opossum found, which the Indians with tact, near where the torpedo had been, left to deceive. A yell indeed was heard, but the dragoons supposed it to be from the infantry which were arriving, and the latter thought it to come from the former. On returning to the post the facts of the yell appearing and the animal found, discovered to have been killed by a rifle bullet, early next morning Captain Rains with sixteen men, all which could be spared from garrison duty, for the dragoons had left, repaired to the hammock, some four or five acres in extent, and, spreading out his men as skirmishers, swept through it. The copse was surrounded by pines and was full of bushes and beds of needle palmettos, impenetrable except next to the roots, where lay concealed some hundred and more infuriated savages, all ready for action. They were passed undiscovered until the soldiers had reached the pond, a small one of five or six yards across, and were examining the spot of the torpedo, which gave evidences of its destructive effects. A little dog which had accompanied the command here became furious, barking in the thicket of bushes and needle palmettos. "What is that dog barking at?" said Captain Rains. "Nothing, sir," said one of the soldiers, "but a rabbit". Quickly he changed his place and again became furious, barking on the opposite side of the pond. "Sergeant Smith" said Captain Rains to his first sergeant near by, "see what that dog is barking at?" The poor fellow turned and advanced some four or five paces with the soldiers near him, and, shouting "Indians", he and his men fired their guns simultaneously with the enemy lying in covert. The whole hillock in a moment was alive with Indians, yelling and firing rapidly. The little party of soldiers was surrounded, and the captain shouted, "men clear the hammock, take the trees and give them a fair fight." No sooner commanded than executed. The sergeant came to his officer with blood running from his mouth and nose, and said, "Captain, I am killed." Too true; it was his last remark. He was a brave man, but his captain could do nothing then but tell him to get behind a tree near by. As the hammock was occupied by the foe and the military behind the trees at the end furthest from the post, the order was given to charge, and the men rushed into the thicket, driving the enemy right and left flying before the bayonet and getting behind trees outside the hammock, the troops passing through their centre. From the nature of the place on arriving at the other end of the thicket, the soldiers were much scattered, and the firing still going on, no little exertion was required for the captain to rally his men, and while thus engaged he was badly wounded, shot through the body, but continued his efforts until successful and the enemy driven from the ground. The captain was carried to the fort in the arms of his men. We have thus numbered them, as all others before made were abortions. We remember the doggerel of the battle of the kegs of the revolution, and a more subsequent attempt to blow up British shipping blockading our ports in the war of 1812, which premature explosions rendered ineffective, and even Lord Admiral Lyon's flagship, at Cronstadt, which had her stern nearly blown out of water by a torpedo, set by the Russians during the Crimean war, was found in the dry dock at Liverpool not to have had a plank started. Our story of the first torpedo ended in the fighting of sixteen soldiers and an officer with some one hundred or more Indians, and among the casualties the wounding of the officer and his being carried to Fort King in the arms of his men. Another and second torpedo had been previously placed at the post by him, and soon after the fight a thousand or more troops were collected there, and it became such an object of dread to the whole army that a soldier guard was put over it until Captain Rains was able to go and take it in. "Suppose," said one officer to another, high in rank, "that the Captain had died of his wound, what would you have done?" "I thought," said he, "of firing at it with a six pounder at a safe distance, and thus knocking it to pieces." 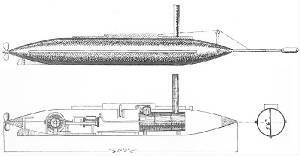 The occasion of the first submarine torpedo was as follows: Soon after the battle of Seven Pines (called in Northern prints "Fair Oaks") General R.E. Lee, commanding, sent for General Rains and said to him: "The enemy have upwards of one hundred vessels in the James river, and we think that they are about making an advance that way upon Richmond, and if there is a man in the whole Southern Confederacy that can stop them, you are the man. Will you undertake it?" "I will try," was the answer; and observing that ironclads were invulnerable to cannon of all calibre used and were really masters of rivers and harbors, it required submarine inventions to checkmate and conquer them. So an order was issued forthwith putting General Rains in charge of the submarine defences, and on the James river banks, opposite Drewry's Bluff, was the first submarine torpedo made -- the primogenitor and predecessor of all such inventions, now world renowned, as civilized nations have each a torpedo corps. And if, as has been asserted, that "naval warfare has been substantially revolutionized" by them, there is no doubt but that is the case on land, and the tactics of the world has been changed, perhaps, under the providence of God, making a vast stride to arbitration of nations and universal peace. NOTE. -- Having read the MS. of General Rains' valuable paper, I desire to say that the total number of vessels sunk by torpedoes in Mobile bay was twelve, instead of three, viz: three ironclads, two tinclads and seven transports. Source: Southern Historical Society Papers, Vol. III. Richmond, Va., May and June. 1877. Nos. 5 and 6. General Gabriel J. Rains, director of the Confederate Torpedo Bureau, penned his Torpedo Book as a manual for the fabrication and use of land mines and offensive and defensive water mines. Includes 21 scale drawings, Notes Explaining Rebel Torpedoes and Ordnance by Captain Peter S. Michie, and documents from the Federal perspective the construction and use of these "infernal machines." A detailed accounting of the vessels sunk or damaged by Confederate torpedoes and numerous photographs of existing specimens from museums and private collections complete this significant compilation. Recommended to fellow Salty Dogs to Civil War Buffs to persons interested in naval warfare. And, it is the account by the first-hand source himself - Confederate Gen. Rains. A thin cold December mist had settled over the darkened harbor of Charleston, South Carolina. There was no moon, but the twinkling of stars in an otherwise black sky revealed that the night was clear. About the Author: R. Thomas Campbell has been studying and writing about the Confederate experience in the War Between the States for years. He is the author of several Civil War naval titles including The CSS H.L. Hunley. Review: Civil War Heavy Explosive Ordnance, by well-known historian and collector Jack Bell, presents an in-depth study of Civil War heavy artillery projectiles, mines and torpedoes. His lifelong association with the CW artillery fraternity provided access to public and private collections containing heretofore-unknown examples of heavy munitions. The author's meticulous research uncovered buried and previously overlooked information and provided important technical and geographic information vital for the in-depth study of the use of heavy explosive ordnance in the war. The result is a highly documented reference source that closes a thirty-year information gap, and significantly advances the state of knowledge about the development and deployment during the war. 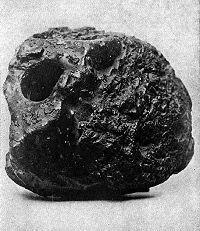 Civil War Heavy Explosive Ordnance is a necessary tool for the serious artillery collector yet provides interesting reading for the student of general Civil War history. The book contains over 1000 clear photographs and multiple views of the 360 projectiles and 22 torpedoes and mines. Jack Bell's presentation is lucid and while professionally technical is delivered in an extremely readable style. Reviewer: I finished reading The Sultana Tragedy: America's Greatest Maritime Disaster on December 7 while on vacation in Aruba. The news of that day was that it was 58 years since that infamous day at Pearl Harbor. Yet it struck me odd that practically no one today was aware of the Sultana tragedy of April 27, 1865. The 2300 killed by the enemy at Pearl Harbor were only slightly higher than the estimated 1800 who lost their lives that forgotten night with the Sultana. As my fifth and seventh grade sons stepped into the overheated Jacuzzi to listen to Jerry Potter's story, the initial shock of the excessive hot water put them in an appropriate listening mood. Memphis Attorney Potter's study of the disaster is no doubt the most comprehensive examination of this 133-year-old incident. Why, I wondered, why did this disaster become lost in the memories of America? While I have vague memories of the Sultana from my Tennessee history professors and Memphis law school days, Potter's book easily captivated my attention as I roved through its 300 pages with 655 footnotes, pictures and a comprehensive list of the passengers. Perhaps, this history was lost because of timing. April 1865 had seen headlines of the end of the Civil War, the assassination of President Lincoln and the capture of John Wilkes Booth. And the Eastern newspapers were apparently not that interested in what happened on America's western front. My sons being very familiar with last year's top movie, "Titanic," gave their full attention as I explained what I had just read. As a 31 year veteran of the Army and history buff, it puzzled me also why the Army has not covered this topic substantially. The Titanic's 1522 deaths are less than the 1800 who died with the Sultana. Of the approximately 765 individuals who immediately survived the disaster, nearly half would die within days of their recovery from the dark and cold Mississippi River. These U.S. prisoners of war had just endured the worst of all times at the infamous Andersonville and Cahaba prison camps. Over 20,000 US POWs had died during imprisonment while the South had over 23,000 of its prisoners to die in Northern prisons. Many recently released prisoners, weighing in at less than 100 pounds, believed that they were finally going home after the War. The worst was over they thought. The Sultana Steamship, one of the largest and best steamers supposedly every made, was only designed to carry 376 passengers. In the hurry to leave Vicksburg, an estimated 2500+ passengers crowded aboard, including crew and other non-military passengers. The Steamship Captain hurried a boiler repair that remains the primary suspect of the explosion, yet others believed that perhaps a revengeful Rebel might have placed explosives in the coal. Bribery, political influence, greed, indifference, criminal misconduct, and gross stupidity allowed the overloading of the ship at Vicksburg, Mississippi. Visions of being home in a few days perhaps were worth the crowding in the minds of these ex-prisoners who had seen much worst. Prior to departure, the steamer's first clerk remarked that this would be greatest trip ever made on western waters since there were more people on the Sultana's board than previously carried on any one boat in the Mississippi River. The Sultana also carried a large store of freight of sugar, wine, mules, hogs, and the crew's pet alligator. Due to the spring time floods of the Mississippi River, water was cold and swift; the river spread several miles as it flowed over fields and its banks. Even though other steamers were available, the ship's crew and passengers wanted to get the trip on. At approximately 2 a.m., April 28, 1865, the worst nightmare that could occur happened. The Sultana's boilers blew sending scalding steam over many passengers; decks crashed pinning hundreds of passengers in an inferno to burned alive, and it was miles to the shore in icy cold water- and there was only one lifeboat. For days following, bodies were found floating in the Mississippi - many unclothed. Animals were found lunching on human carcasses days later. My sons asked why no movies tell the story concerning the Sultana since it includes hundreds of touching stories. Assuming Potter's accurate description, perhaps it is really too tragic for viewers to envision. I wondered where could actors be found to portray the large group of frail men on the steamer? Absent Hitler's holocaust camps, perhaps there have been no collection of humans as frail as these released Confederate Prisoner of War Camps survivors. While citizens of Memphis, whose allegiance had been with the opposing force, opened their homes and care giving to the survivors with true Southern hospitality, the aftermath of seeking fault and blame paints a sad story. Potter's research included the investigations that followed. Further, the lengthy court-martial of Captain Frederick Speed who was convicted but then set aside by the Army's Judge Advocate General. No doubt this explosion should not have rested on one lowly Captain when others were equally or more responsible. Although it is apparent that there were many faults in arriving at the disaster and even questions as to what caused the Sultana's boilers' to explode, the matter was swept under the rug. Most tragic is the manner in which this country treated these victims. This feeling is best summarized by a bitter survivor: "The men who endured the torments of a hell on earth, starved, famished from thirst, eaten with vermin, having endured all the indignities, insults and abuses possible for an armed bully to bestow upon them, to be so soon forgotten does not speak well for our government or for the American people."